This shows an older weaver passing on her knowledge to a new apprentice. 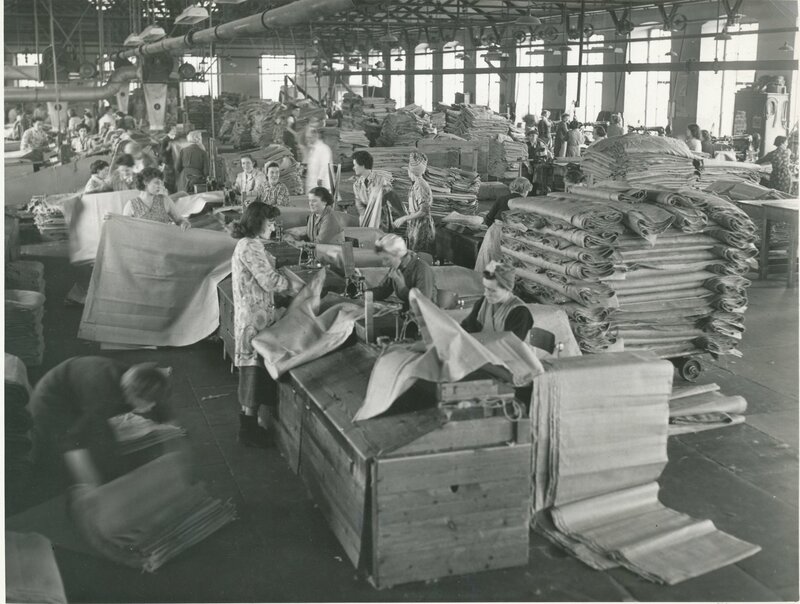 Often women workers in the mills would have no formal training and would instead be allocated a more experienced worker to show them the ropes. 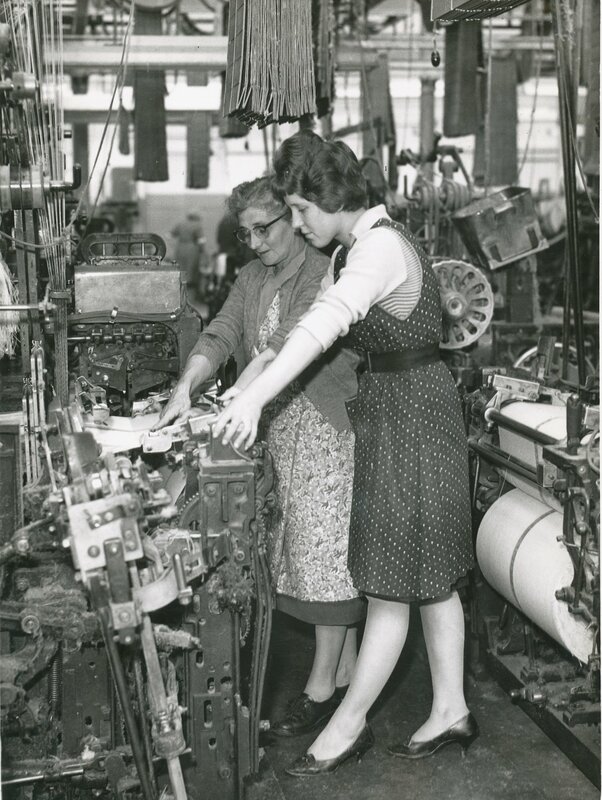 Photograph, black and white, belonging to a collection of images regarding ordinary looms and autolooms, cloth inspection and dressing machines. This image shows two women weaving at loom, the elder woman with glasses is thought to be Catherine Smith (nee Blair). Jacquard cards hanging above loom. Photographers stamp on back, 'Angus Photos (Robert Brown), 4a and 15 King Street, Phone 3828, Dundee'.